This nicely landscaped 3 BR, 1-1/2 bath home sits on 2 acres and is only 3 miles from Mt Pisgah State Park. Well maintained house features several updates including laminate flooring in the living room along with a new tongue and groove ceiling. Open concept kitchen/dining area flows into the cozy living room with wood stove that can heat the whole house. The master BR upstairs has a half bath, and the spacious hallway is bright and cheery with new bamboo flooring. There is a mudroom at the back entrance leading to a large deck overlooking the lawn with a great view of the valley. A covered front porch and plenty of parking area complete this home. Owners just put a new metal roof on the house. If you're looking for a charming country home for a very affordable price, make an appointment to see this one! Athens Area High School High School / Public 4 11.21 mi. North Rome Christian School * Elementary School, Middle School, High School / Private N/A 9.35 mi. Troy Intrmd School * Elementary School / Public 5 7.16 mi. Union Valley Christian School * Elementary School, Middle School, High School / Private N/A 9.35 mi. W R Croman Primary School * Elementary School / Public N/A 7.98 mi. Troy Area Junior-Senior High School * Middle School, High School / Public 7 7.26 mi. 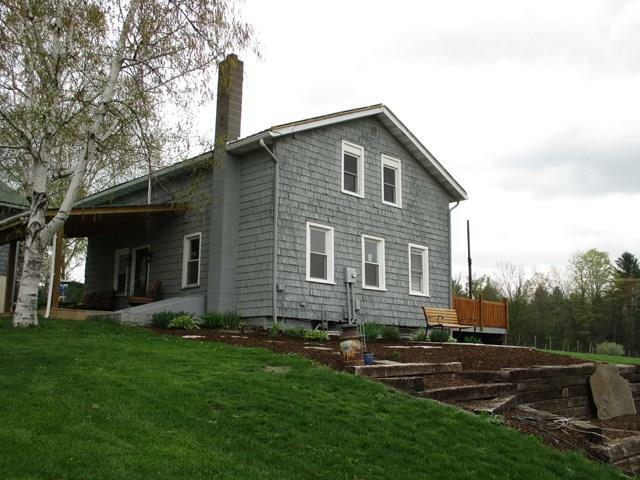 106 Moosehead Lane, Columbia Crossroads, PA 16914 is a 3 bedroom, 1.5 bath single family home was sold for $78,800 by Mary Jo Melton in the Wellsboro real estate office.